This option controls the header, body, and footer of all email notifications generated within you CBOX OpenLab installation. Click on each option to customize the global appearance of email notifications. The Header option allows you to change background colors, highlight colors, text color, and text font size of the header. The Body option controls similar settings for the body. The Footer option allows you to customize the content of the footer as well as its colors and font size. The templates for each type of email notification generated are listed in this section and described in the “Situations” column shown below (e.g. 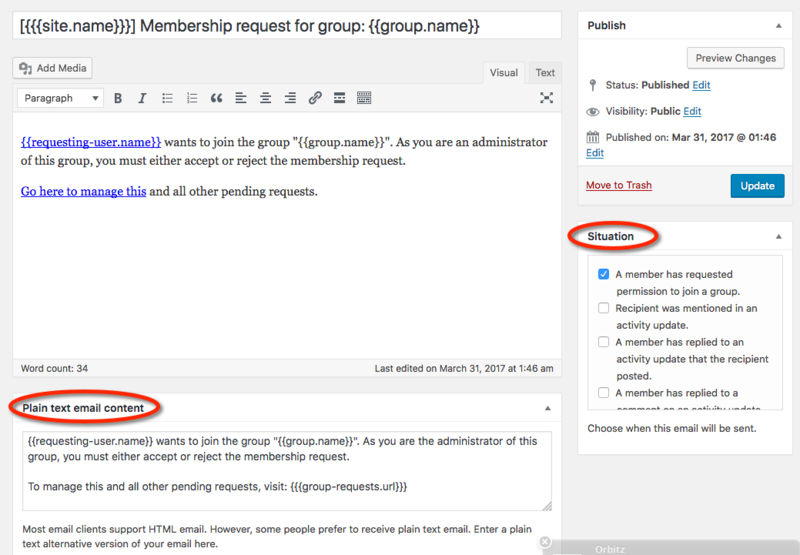 welcome emails sent when new members join a group), any of which can be customized. 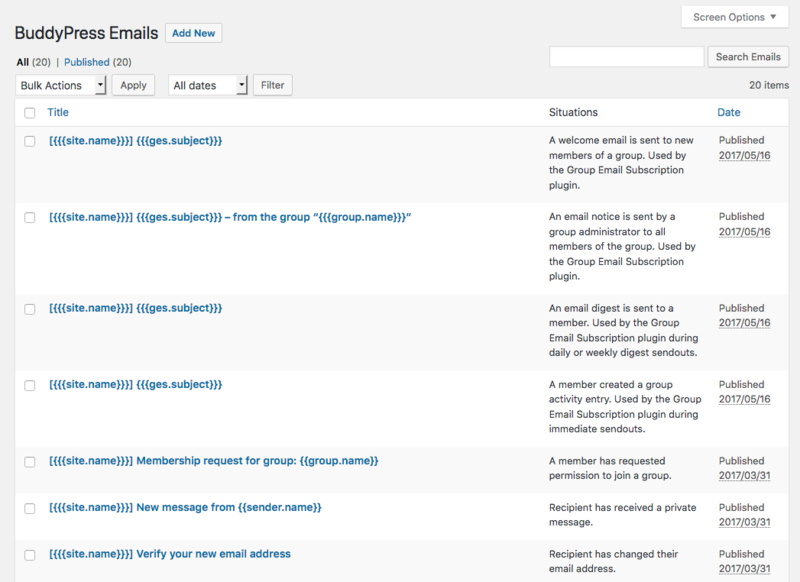 BuddyPress has many Group Email Subscription Settings and CBOX OpenLab admins control these globally. 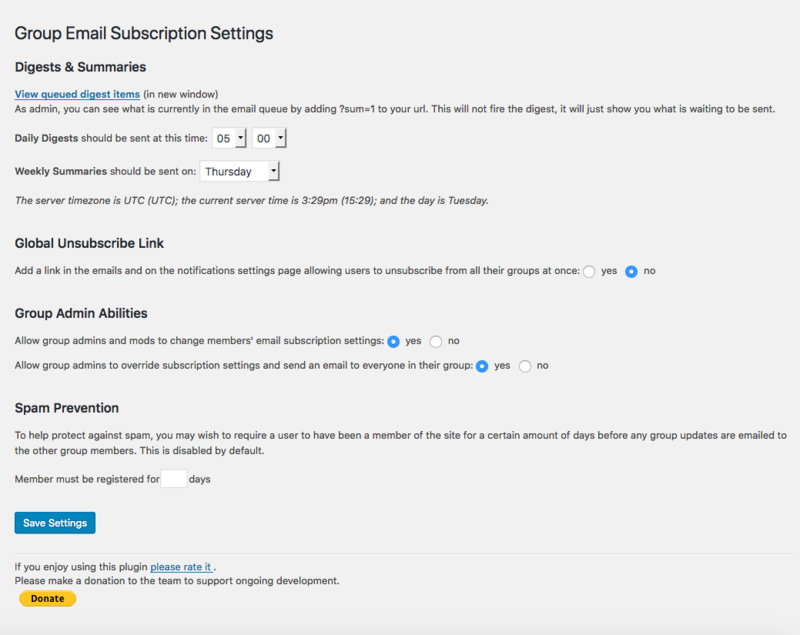 Note the section called Group Admin Abilities – this setting allows group admins to override global settings for email subscriptions and the ability to send email to everyone in the group.